One Month Free Prorated* on a 12 month lease* *some restrictions apply. Contact our leasing team today! Wilshire Park has rejuvenated urban living in Houston’s Medical Center with pet-friendly apartments that aim to bring warmth and comfort to residents. 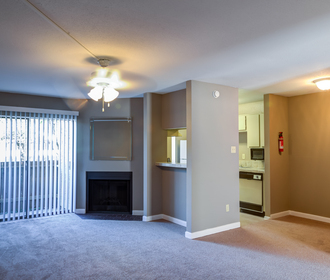 Choose from a variety of one and two bedroom floor plans that accommodate residents with spacious living areas and premier features in a friendly community environment with a collection of exciting amenities. Live in one of seven distinct floor plans that focus heavily on space and light. Expansive living rooms open to sunrooms, balconies or fenced-in patios. For a feeling of increased space, vaulted ceilings give select homes an airy, light-filled atmosphere. Wood-burning fireplaces in some models give an inviting ambiance. Fully equipped kitchens, designed with tile countertops and peek-through bars, maximize efficiency with mounted microwaves, white pantries and matching white appliances. Part of Wilshire Park’s charm is the friendly community atmosphere. Enjoy a summer barbecue with your neighbors and post your get-togethers online, using the poolside Wi-Fi. Enjoy the convenience of a twenty-four-hour laundromat and reserved parking throughout the community. 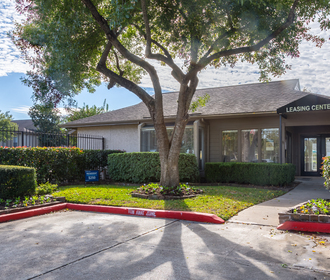 Located within minutes of NRG Stadium, downtown Houston and within the Texas Medical Center, residents are happy to call this garden-style community home. 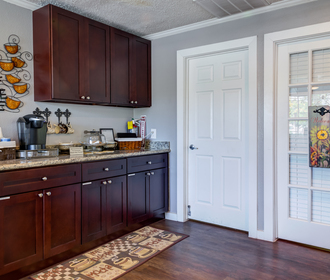 Contact a friendly team member at Wilshire Park to explore this one-of-a-kind community.